Hola, de Polonia con amor les traigo fotos de una reunión de cláscios y concurso de belleza que se realizó el fin de semana pasado en Wroclaw (Baja Silesia, Polonia), espero les gusten. MotoClassic Wrocław 2014 is an exceptional and unique motoring event held in the heart of Lower Silesia. 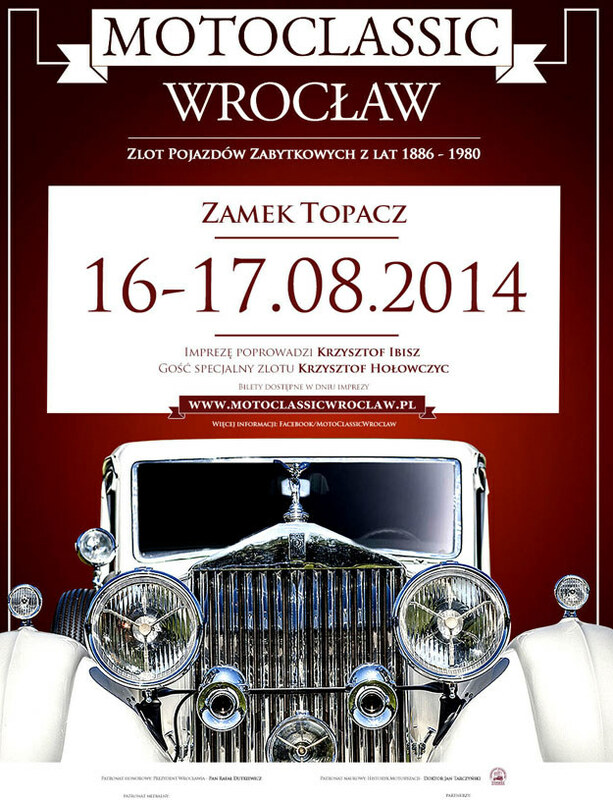 We are proud to announce that the forthcoming edition of the MotoClassic Wroclaw 2014 vintage vehicle rally will be held between 15th – 17th August 2014 at Topacz Castle, located in Ślęza, only 15 minutes from the centre of Wrocław. During the forthcoming edition we invite vehicles from two categories prior to 1960 and from 1960-1980. In 2014 at Topacz Castle it will be possible to admire the full range of vintage vehicles from both Poland and abroad.